A simple and professional email signature design perfect for medium to small organizations. A user’s name, all contact icons, and social media buttons are of a pleasant orange color. 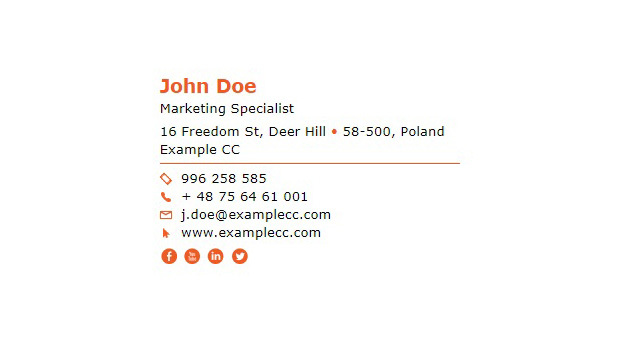 Contact details are symmetrically divided into two rows by a horizontal line which makes the signature more reader-friendly. Open this signature with the Signature Generator if you need to make some changes or click the Download signature button to get the HTML file right away.